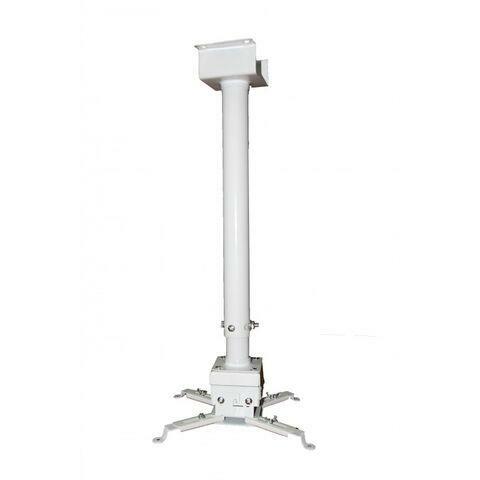 This Extendable Mounting pole may be required for some ceilings. Your MotionLearn Pro and MotionLearn Mini both come with the Standard Mounting Pole (11. 8" - 23. 6"). When calculating the most suitable mounting solution for a new system, the key aspects to factor in is the height and structure of the ceiling. For solid ceilings that can take the 35 lb. weight, the height should be enough to establish the most suitable mount. For suspended ceilings, the weight will be too much and you must consider fitting the mount beyond the height of the ceiling itself - onto the supporting solid support beam in the void. The desired image size should also be taken into account. A simple calculation is used to help determine the distance from the MotionLearn's projection lens (otherwise know as the "throw distance"). Throw Distance = Lens Throw Ratio x Image WidthFor ease of calculation, we recommend a minimum of 1. 2 for establishing the span style="text-decoration: underline;" minimum/span Throw Distance required. For example, for an image of 100", the projection system would need a distance of 120" from the lens to the surface.